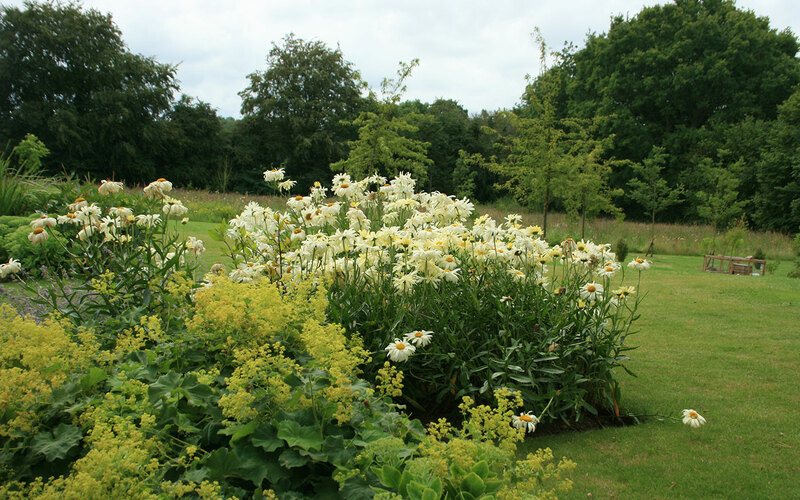 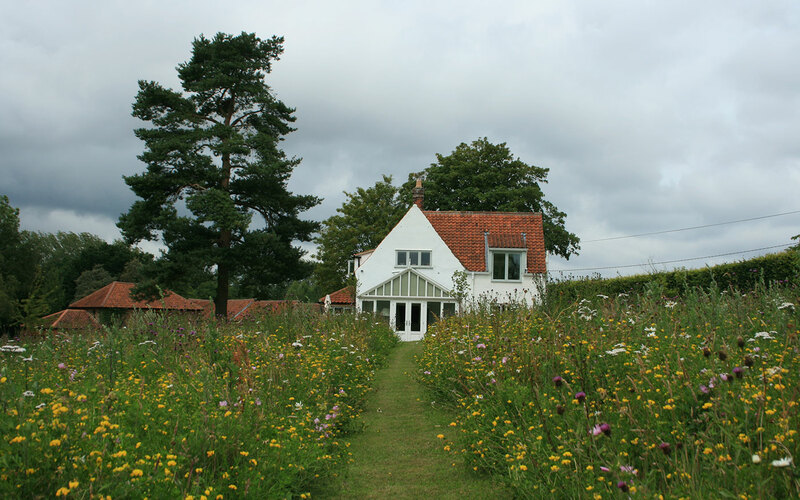 The brief for this site was to improve the existing garden and create an ecologically diverse flowering meadow using native tree planting and non-interventionist methods where possible. 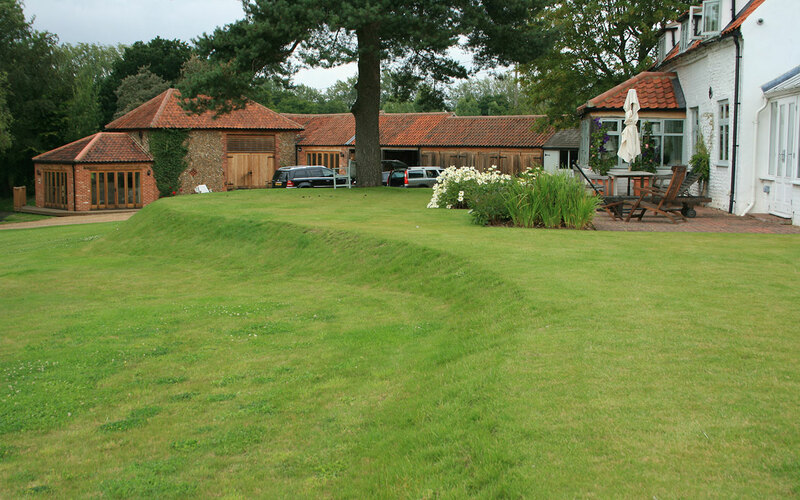 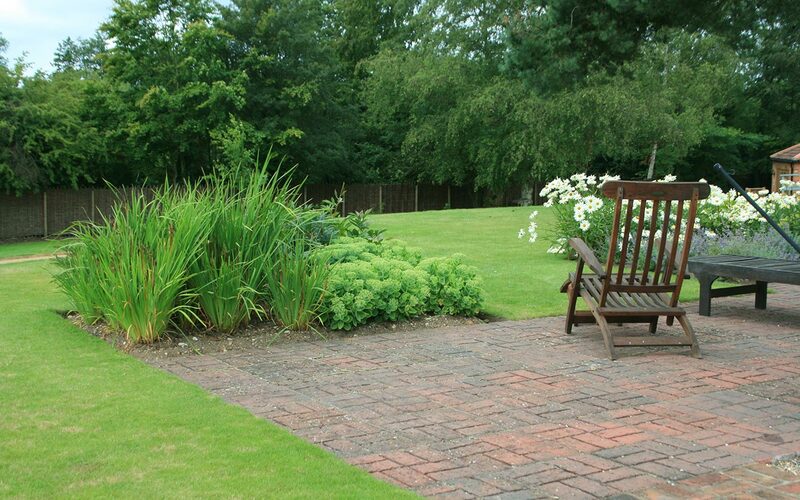 The sloping nature of the site required earthworks to create level areas of garden around the house. 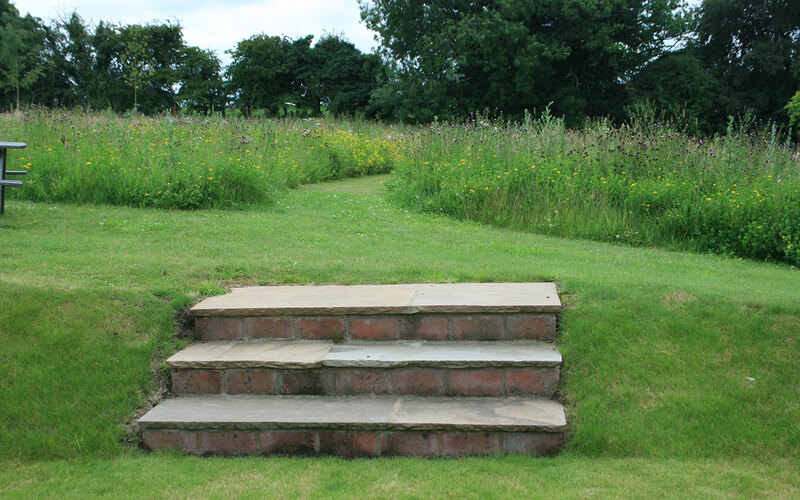 Sinous grass banks form and shape the bowling green lawns, from which the flowering meadow can be accessed by simple stone steps cut into the banks. 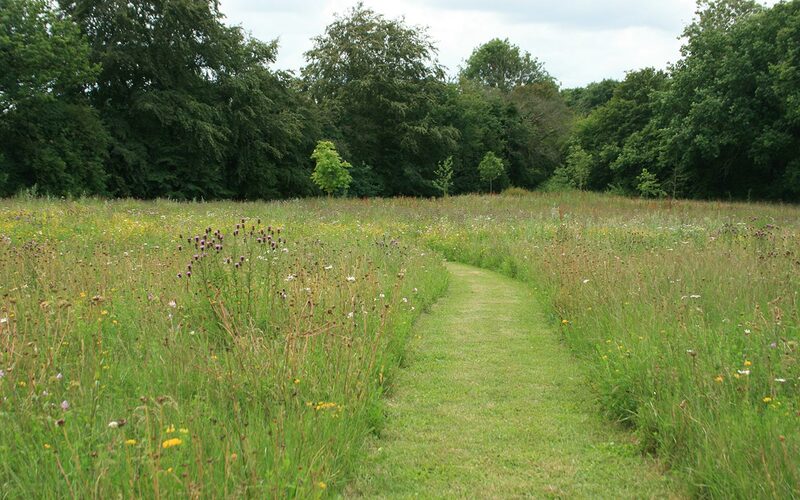 Mown paths wind through native tree planting of oak, ash, sweet chestnut and hornbeam standing in long grass to give the house its own little piece of the English Landscape.